“And so, no matter what this report is thus far, we have seen enough. We have seen right before our very eyes the obstruction of justice in so many ways. It’s not only the firing of Comey, but it is the fact that he sat on the airplane and he wrote a memorandum about the meeting that took place at Trump Towers (sic) where they had organized this meeting to talk about how they can undermine Hillary Clinton,” Maxine Waters said. “No matter what has been revealed thus far and there’s only four pages of what appears to be a report of about, maybe somewhere between 3,000, 4,000 pages,” Waters said not realizing Mueller’s report is actually 400 pages long according to Bill Barr. 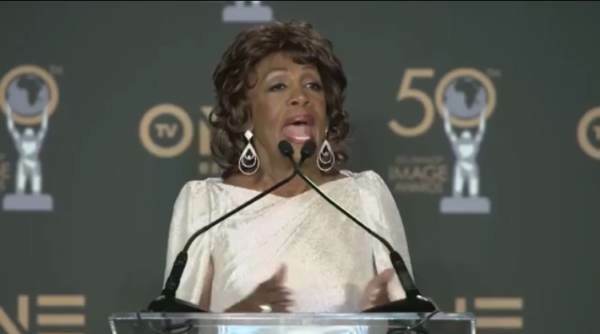 Maxine Waters is one of the leading Trump-Russia collusion conspiracy theorists in Congress who claimed many times that Mueller’s report would lead to the impeachment of Trump. Even Democrats are bored with Maxine Waters’s Trump-Russia canard – A lot of people were talking to each other and not paying attention as she was blathering on and on about Putin-Trump-Russia-collusion.